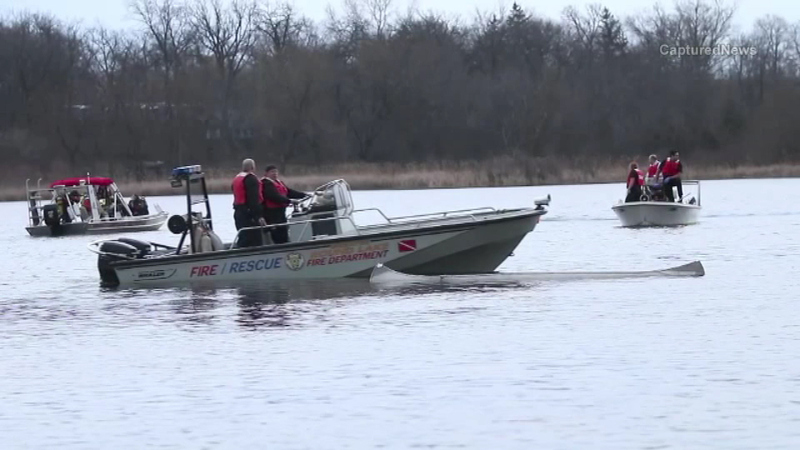 FOX LAKE, Ill. (WLS) -- A man died after a canoe capsized in Wooster Lake in the far northwest suburbs near Ingleside and unincorporated Fox Lake. The three other people in the canoe with him were rescued. A man on shore saw a canoe carrying two men and two children overturn around 6 p.m. Sunday. He swam out and saved the two children, ages 10 and 11. One of the men also made it out safely. A dive team found the other man's body in the water around 9:15 p.m. Police have not released the victim's name. There were no life jackets on the canoe.